On July 1, 2003, after more than 20 years of advocacy, the City of Rancho Cordova officially incorporated, becoming the 478th city in the State of California. 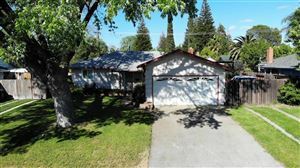 Located in the eastern part of Sacramento County, Rancho Cordova is a community with a rich history including the first 12 miles of railroad in California, a thriving military base in its time, and the home of a successful aerospace company. Nearly 70,000 people reside in Rancho Cordova with nearly 50,000 employees as well. Higher Education: A diverse, educated workforce is a key factor to the economic development of any city. In Rancho Cordova, we have 18 niche educational institutions to serve our community. From trucking schools and electrical contracting centers to computer training and fashion institutes, Rancho Cordova has it all. The educational facilities serve a wide spectrum of residents and local students ensuring we have a diverse and qualified workforce ready to help your business grow and thrive. 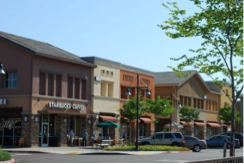 Rancho Cordova offers many location advantages and is a rapidly growing magnet for business on the US 50 Corridor, which runs from Sacramento (15 miles west) through South Lake Tahoe (92 miles east) and beyond. One out of every 5 office buildings in the region (Counties of El Dorado, Placer, Sacramento and Yolo) is on the Highway 50 corridor, including 18% of total office product in the region, 20% of Class A Buildings, 22% of Class B space, and 10% of Class C space. Rancho Cordova has a higher concentration of office users, and particularly larger office users, than any area in the region except downtown Sacramento. Most other cities have their office buildings spread throughout the city, while Rancho Cordova’s office product is focused in a few concentrated, productive areas. Rancho Cordova is the largest business sub center in the region. Our clean, campus-like atmosphere provides a home for many large companies, such as Blue Shield, Delta Dental, Franklin Templeton, Health Net, McKesson, and VSP Global.